It is a pleasure to welcome you to the eleventh quarterly edition of “The Angels. Messengers from a Loving God”. Thank you for your emails and letters. We are pleased you are becoming more acquainted with the nine choirs of angels. Saint Faustina discovered in the Eucharist an unlimited source of supernatural powers She declared “All the good that is in me is due to the Holy Communion. I feel that this holy fire has transformed me completely, All my strength is in You, O Living Bread. It would be difficult for me to live through the day if I did not receive the Holy communion”(Diary 1392). Do not forget about the Feasts of Saint Michael, Gabriel and Raphael (29th September, 24th March, 24th October and the feast of Guardian Angels on 2nd October). On these days they will intercede for you in a special way. 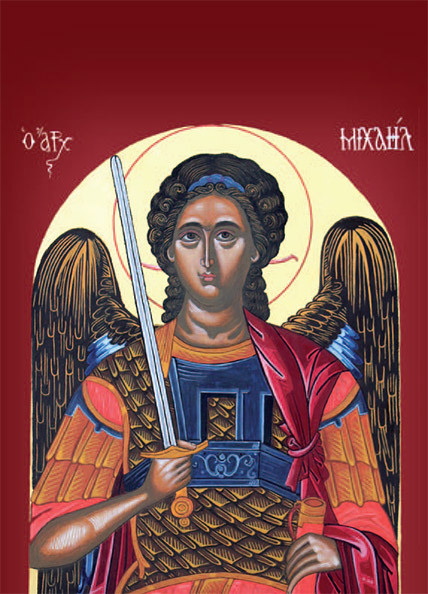 I assure you of the constant prayer of the priests of the Congregation of St Michael the Archangel for all the readers and their families every day. I would kindly ask you to let others know about our magazine and distribute it all over the world. I would be interested to hear from you by letter or email and to relate any testimonies on how the angels have helped you in your life. Let us call on our heavenly messengers daily and ask for help, protection and guidance.